I absolutely remember, and I will never forget the very first time I ventured on the campus of Howard University. My best friend growing up Archie Price had decided to enroll at Howard U. in 1972. So Archie and I being best friends I went to see his new dormitory digs. It was the end of an eventful summer and I remember distinctly the first time I went to the main quadrangle of Howard's campus. I felt this distinct warm chill rush through my body. I didn't understand initially. At first thought, I thought it may have been the natural additive that was rushing through my body. However, over the years I have encountered that same inner warming chill whenever I approached or was near past greatness. It was as if the spirits of all my ancestors were attempting to communicate with through the energies that they still emit. From my toes to the top of my head I felt this energy. It was instantaneous but it was definitely the most powerful force that I ever encountered to that point in my life. I brushed it off and continue on my way to visit my buddy. Yet in some ways, I was never the same person who caught that Greyhound Bus to DC. Now I realize that was the day I fell in love with Howard University. 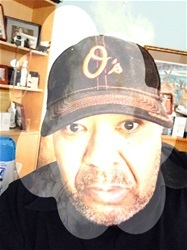 Although, I attended Morgan State University and totally enjoyed every moment of my experience past and present I never will forget that energy that coursed through my body that Friday afternoon. I still get that tingling feeling when I write about or talk about Howard University. That institution is so damn important to the legacy of Black America. The spirits that roam the buildings, the walkways, the classrooms are those spirits of black excellence as well as black determination. 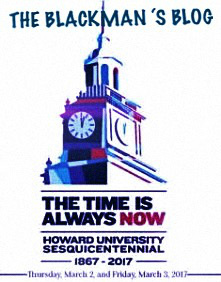 So, having celebrated my alma mater's 150th anniversary this past week it is only natural to celebrate Howard University's 150th anniversary the following week. Every time I am on the campus of Howard University the spirit of excellence rewards me with a sense of immense pride. Every time I am on the campus of Howard University the energies of my ancestors speak to me personally. That's why "The Blackman's Blog" celebrates Howard University, 2017 because my Howard ancestors spoke directly to me to proceed and tell my stories through the words of those who came before me.